Dr. Li is educated in both Western and traditional Chinese medicine and holds MD and OMD (Oriental Medical Doctor) degrees from China. He practiced internal medicine as a physician in China, where he also provided relief and humanitarian work for marginalized coal-mine populations in rural China. In Beijing, Dr. Li began training in Traditional Chinese Medicine and obtained his OMD (Oriental Medical Doctor). He conducted clinical trials on Traditional Chinese Medicine, making major breakthroughs in meridian theory. 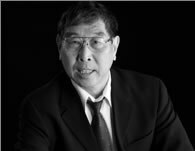 He relocated to California in 1995 and co-founded New Life Clinic with Dr. Hong Yang in Davis where he practices Traditional Chinese Medicine, specializing in acupuncture, Chinese herbal medicine, tui-na (Chinese medical massage), acupressure, supervised exercise, and Chinese food therapy. In 2000, Dr. Li obtained his PhD in advanced research in oriental medicine and received the outstanding achievement award at the Fifth International Conference of Traditional Medicine in the United States. He also obtained his OMD in the U.S. Treating numerous difficult cases and a wide range of conditions, Dr. Li’s practice continues to achieve a high rate of patient satisfaction. Dr. Yang established New Life Clinic with Dr. Li in 1995 and has been the office manager since its foundation. Dr. Yang came to the United States as a Rockefellow Foundation Fellowship scholar and received her Ph.D in molecular cell biology from Louisiana State University. She became a royal fellow of the Royal Society, London, and her discoveries in plant genetics earned her personal recognition from Queen Elizabeth II. Upon finishing her work, she relocated to Beijing, China and became an associate professor and the vice-director of the Biotechnology Research Institute of the National Chinese Academy of Agricultural Sciences, where she oversaw over 80 scientists.